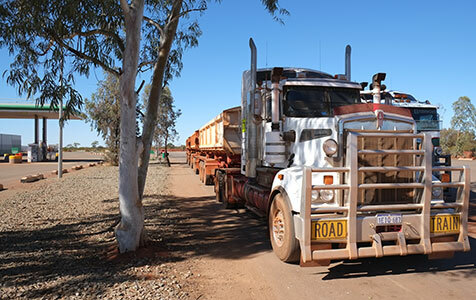 Driving up the Great Northern Hwy from Midland to Port Hedland, you can’t help but marvel at the number of trucks on the road – and be concerned about what lies ahead for wheatbelt communities after the closure of the ‘tier 3’ rail lines. Mark; you raise a very important point in your article. Wheatbelt rail is far too important to be sold off to Canadians and closed down like this. As a frequent local user of GNHwy, I would love to see an effective railway to the north. It would make freight far more efficient, particularly to the mining areas of the Pilbara. At the moment the Midlands railway only goes as far as Northampton, I believe, and that is about 110 years old. It's time to invest & upgrade. Regional infrastructure; yes.